Are you going on vacation or away for the weekend and need someone to take care of your pup? Do you need someone to watch your pet during the day? Do you need someone to drop-in and visit your pet while you are not home? Do you need someone to walk your pet? Are you getting/adopting a new pet or puppy and need one on one guidance with a trainer? 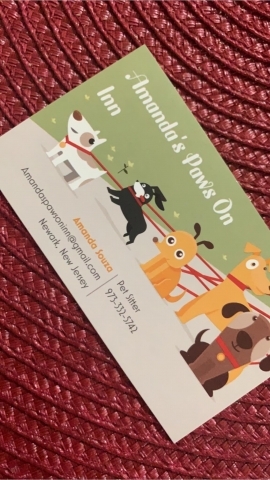 At Amanda’s Paws On Inn you will find the most reliable pet sitter services. Experience with small-large breeds including pitbull’s/bullies. References available from reliable clients! Please email/text for rates and questions. If you call me and I do not answer please text me with your name and I will get back to your in a timely fashion.